Farm to Fork Director, Nicole Rogers, oversees the Sacramento region’s Farm-to-Fork initiative and helps to further the region’s identity as America’s Farm-to-Fork Capital. 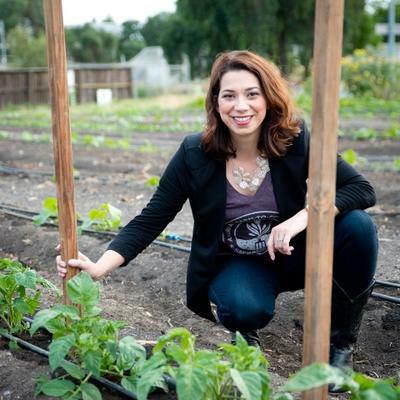 She works to bring together local farmers, growers, ranchers, chefs, restauranteurs and like-minded businesses to create an ongoing program that showcases the Sacramento region’s unparalleled agricultural and culinary offerings. Nicole is not a stranger to the area’s culinary industry, having joined the SCVB after six years as a marketing strategist for Chipotle Mexican Grill in the greater Sacramento region. In her role at Chipotle,Nicole was responsible for building key partnerships and sponsorships throughout the West Coast. Prior to working with Chipotle, she spent several years managing expansive food-based programs at national and boutique public relations agencies. Nicole is a graduate of Gonzaga University and serves as the 2016 board chair of the Food Literacy Center, and also serves as secretary on the board of directors for Center for Land Based Learning. She lives on her own “mini farm” in Woodland with her husband. In her spare time, Nicole can be found savoring the farms, foods and drinks that define the Sacramento region. Nicole will be moderating the Farm to Fork Panel: Farmer, Rancher, Grocer Chef session on Friday afternoon.